Detail as how the loop is fastened in place through the use of the knurled thumbscrews screwed in to the two aluminum adapters, that protrude through each side of the variable capacitor housing. On the inside, the wiring from the variable capacitor attaches to the two individual adapters with machine screws. 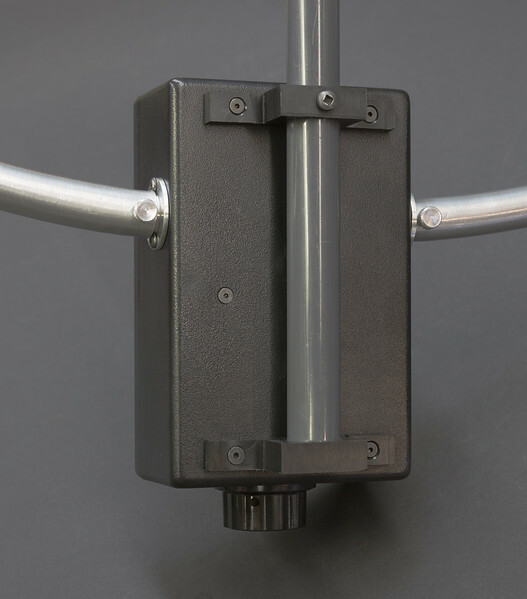 The composite tube brackets fastened in place to the housing were made from black Delrin.